We all need to stop shopping fast fashion and make or buy higher quality garments to save the planet. Just head down your local high street and see that every shop is like a warehouse full of polyester rotated in just a matter of weeks. Of course we all love those low prices and packed sale rails but where do all those clothes actually go? Most will very quickly end up in landfill as we serve part of a vicious cycle of consumerism as clothes are made abroad with low cost labour and synthetics and then just months later we are given new designs to replace them. 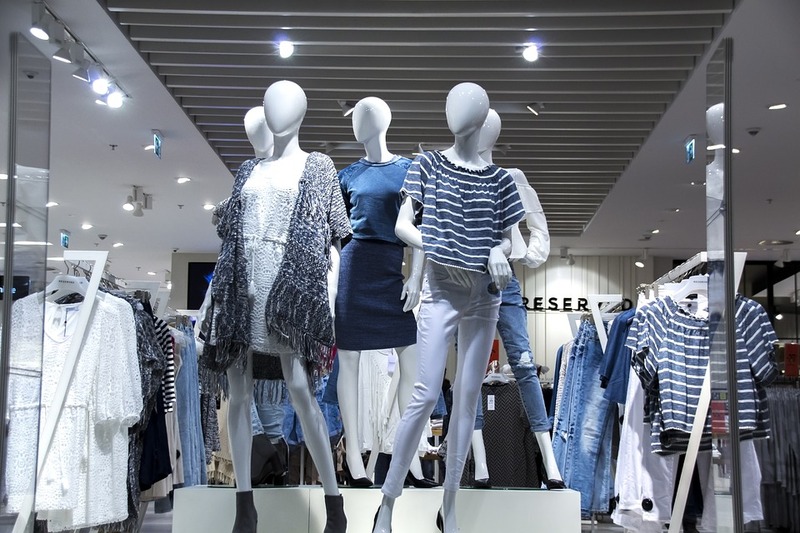 Most people have fallen out of love with their clothes and fight to buy the latest in a long line of poor quality pieces practically designed to fail after just a few wearings. As clothes lovers we have a duty to inspire others to find a look that works for them, to invest in it and love it so we can love our planet as it deserves. Yes there is always a secondary market of charity shops and car boot sales but these pale in comparison to the vast numbers of clothes simply thrown away. The Independent reported in 2018 that 75% of Britons throw clothes away rather than donating or recycling them. That may be bad for waste disposal in general but the real cost is the production of so many garments. To start with the very textiles are damaging. While synthetics drain natural resources even ‘renewable’ natural fibres require toxic pesticides to increase yields. Agriculture is the most polluting human activity to water sources because of these chemicals, and the next worst is actually dyes from textile production. Forbes reported in 2015 that the apparel industry accounts for 10% of global carbon emissions and remains the second largest industrial polluter, second only to oil. Organic cotton has been a big hit as consumers have grown more aware of pesticide damage but the environmental costs of fashion don’t end there. Polyester may be a brilliant fibre for reinforcing fabrics and keeping moths at bay but these tiny fibres break away during washing and enter the food chain. In fact washing clothes is thought to be one of the most significant sources of global microplastic pollution, with just a single washing releasing thousands of fibres. Polyester also requires large amounts of energy and damaging chemicals to produce, although the final product is recycleable. Fortunately for the costume world while many of us have big wardrobes we are also blessed with an eye for quality. We are also natural recyclers who hunt for second-hand and antique clothes. Find below some advice to make your wardrobe more sustainable that you can share with everyone on your social networks. Only buy quality. The whole problem with fast fashion is we spend money constantly on small pieces rather than investing once in the right outfit. Rather than buying things for less and having to replace them, spend more on something that will last longer. Not only does making your own clothes slow down the process of going through clothes but it also gives you the skills to maintain your pieces for longer. If you don’t make your own then buy from an expert artisan on Etsy. You support them and quality handmade clothes are always going to be far less damaging than those mass-produced. Don’t buy the cheap synthetics that are always forced upon the Goth and Steampunk cultures. You can do better by hunting around – just see some of the sellers featured in our articles. Love your style. We run this site for people who see dressing up as part of their identity. You don’t swing with the high street trends and so will be wearing the samegreat outfits for years to come. Buy second-hand, vintage and antique on Ebay.